With chemiluminescent western blotting, chemiluminescence occurs when a chemiluminescent substrate such as luminol or 1, 2-dioxetane attached to an antibody bound to your target protein undergoes an enzyme-based reaction. 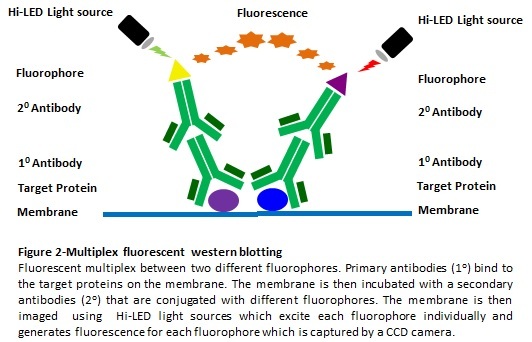 With fluorescent western blotting you attach a fluorophore such as Alexa Fluor®, IRDye®, DyLight™ or Qdot® to a secondary or tertiary antibody that binds to your target protein. 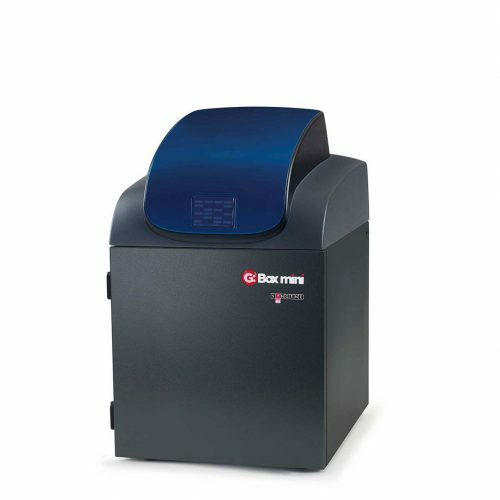 To visualise chemiluminescent bands on a blot you simply need a darkroom but to detect fluorescent bands, you need to excite them with a high intensity light source. 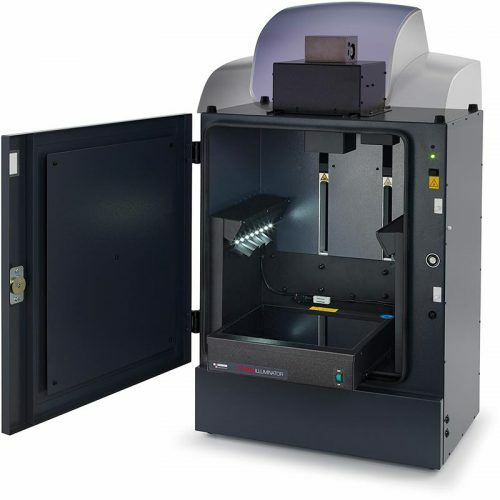 Chemiluminescence and fluorescence generate light emissions that you can visualise with a CCD camera and with the right types of image capture technology, you can use chemiluminescence and fluorescence to detect proteins that are expressed at low levels on your western blots. 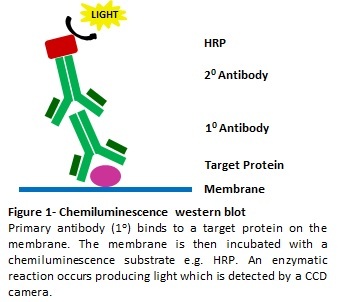 Chemiluminescent western blotting is the best technique if you need highly sensitivity detection of a single protein. 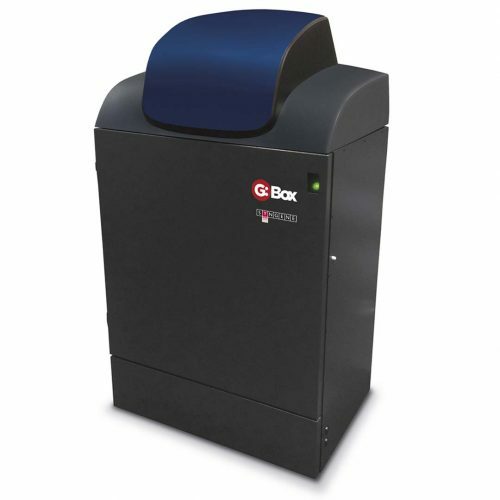 Using the G:BOX Chemi or G:BOX mini CCD-based system for imaging your ECL and CDP-Star® chemiluminescent western blots gives you wider dynamic range than film, allowing you to safely and accurately detect femtogram levels of protein. 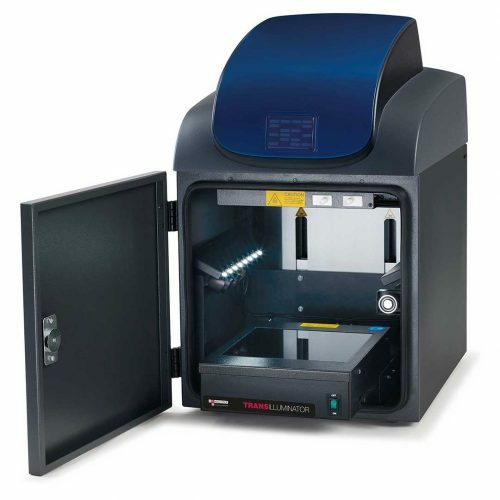 Using the G:BOX Chemi and G:BOX mini system’s protocol-driven GeneSys software, you simply select your chemiluminescent substrate, and the software automatically captures your choice of one or a series of images, ensuring you’ll effortlessly produce a perfectly exposed image, without the hassle of using film. Fluorescent western blotting is the method to use if you want to visualise multiple different proteins and quantitatively compare them because unlike chemiluminescence which only produces white light, each type of fluorophore emits different coloured light. Therefore, you can use several fluorescent molecules simultaneously to detect different target proteins all on one blot. These dyes fluoresce with high intensity UV, RGB or IR lighting, giving you the flexibility to multiplex without the loss of signal due to stripping and re-probing your blot. Unlike chemiluminescence, fluorescent signals have greater stability over time, which means your results are linear and more accurate. 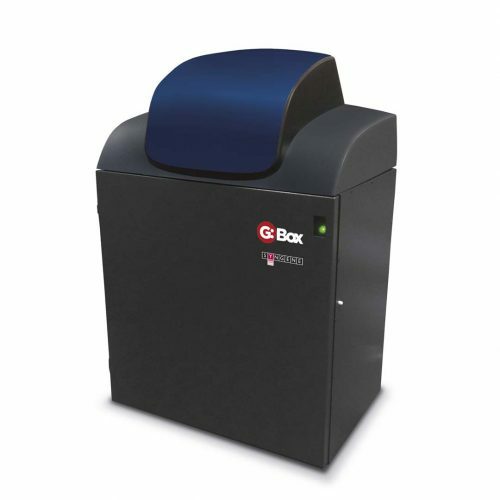 With specific filters and HI-LED RGB and IR lighting options you can rapidly image multiplex fluorescent proteins using the G:BOX Chemi or G:BOX mini systems. The system’s GeneSys software automatically selects the best combination of lighting and filters available to image each dye. You can then capture one or multiple images of your blot and overlay different coloured images. This means you can produce one complete picture of all your different fluorescent proteins, making visualising and analysing each one accurately, a quick and easy task.